Common bermudagrass is drought resistant, grows on many soils, and makes a good turf if fertilized and mowed correctly. Common bermudagrass is drought resistant, grows on many soils, and makes a good turf if fertilized and mowed right. Common bermudagrass produces many unsightly seedheads, but in spite of this fault, it frequently is used on home lawns due to the ease and economy of establishment. Common bermuda may be planted from either seed or sprigs and with intensive management will provide a high quality turf. However, the newer hybrid bermudas are generally far superior. 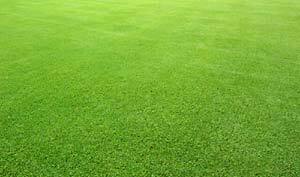 In Australia, bermudagrass is known as Couch grass. Compared with common bermuda, these grasses have more disease resistance, greater turf density, better weed resistance, fewer seedheads, finer and softer texture and a more favorable color. They also produce no viable seed and must be planted by vegetative means (sprigs, sod). Tifway (419) dark green, fine texture, dense. Tifway 419 was first developed in the 1960s specifically for golf courses and athletic fields. In fact, Tifway's name comes from a combination of Tifton (University of Georgia in Tifton) and fairway. 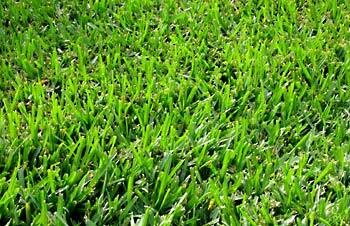 It is also highly recommended for lawns, making Tifway a versatile variety of bermuda grass. Bermuda grass can be overseed to maintain a green appearance throughout the winter months by planting a cool season grass such as annual rye. Annual rye cannot withstand the summer heat and will die as temperatures rise. The same characteristics that make bermuda grass an ideal grass for certain areas, also can create problems when it starts growing in areas where other species are growing. Bermuda spreads by both stolons and rhizomes. Kill the top and it continues spreading by the rhizomes. There are some commercial products available such as Fusilade II that can be applied in certain situations. Fusilade II is a herbicide that quickly moves through the shoots, roots, rhizomes, stolons and growing points of the treated plants. Two applications are recommended for controlling bermudagrass: once in the spring and again in the fall. It should not be applied when the desirable turf is under stress. When bermudagrass has invaded cool season lawns, a non-selective control that contains glyphosate is required. This product will kill everything, so extreme care must be taken.